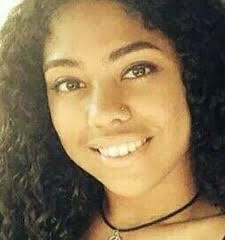 Mia Angeli Cepeda was born in Miami, Florida and was truly a Miami girl 100%. She was a sun girl, always loved to be in “chanqletas” (sandals) and sundresses. Mia was a very active baby in her mother’s belly, always loved to listen to music 24/7. As early as 3 months old her parents noticed she hummed herself to sleep while rocking herself in her crib every night. By age 3 she was already imitating artists and singing full lyrics to songs she loved the most. In the 2nd grade, her Music teacher noticed the special voice she had and recommended her to a special Magnet School for the arts. She auditioned and got into the Musical Theater program instantly. She later went on to graduate from Highschool, landing the lead part in the end of year Senior play and took home the Critic and Director’s choice first place award in the Female Solo in a Broadway Musical category at the Florida Junior Thespian Competition. Mia was funny and witty and way above her years. She was incredibly independent and loved life. Most of all she lived and breathed music all day long. She had a deep connection with music, saw music in every sound she encountered and even made beats from the sound of car tires!! It was no doubt that her life was destined to be singing and sharing her gift with everyone she encountered. The family is greatly saddened by her ’much too fast’ departure from this life but, are confident that she is now singing in Heaven, leading the ultimate choir for us. Mia will sing in our hearts forever. Mia’s mom and cousin shared all of this information with us and encourage you to donate in her honor. In honor of Mia’s life, may her passion continue to live on through donations to Music Unites, supporting other children in their dreams. in your donation note line in paypal.